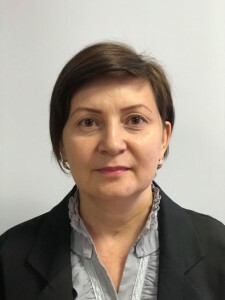 She began her teaching activities at the University in 2001 as a teacher at the Eurasian Humanitarian Institute in Astana. In Karstu works since 2008 as a senior teacher, is a master. He has certified electronic textbooks, video lectures and slide lectures in the state and Russian languages, educational and methodological developments and scientific publications. Regularly participates in international and regional scientific conferences, seminars, round tables. Annually supervises scientific student work in the state language within the SSS at the Department. He is the author of more than 40 scientific works.